Celebrate the 100th birthday of Thelonious Monk by listening, watching, reading, and playing. Thelonious Sphere Monk is of those rare public figures who is recognizable by silhouette alone. 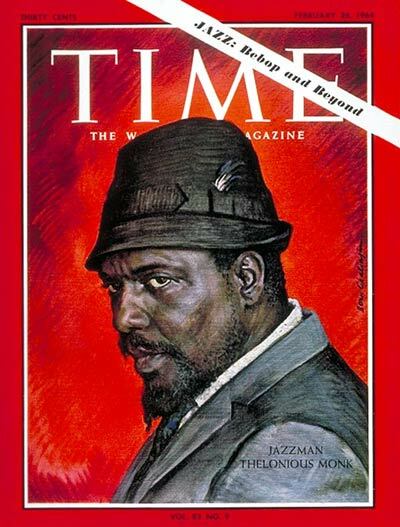 Elements of his trademark style are captured on the 1964 cover of Time magazine featuring Monk: the hat, the beard curling to a point. That Monk is one of only a handful of jazz musicians to ever appear on the cover of Time is a measure of his importance in jazz history. James Baldwin and "The Price of the Ticket"
James Baldwin was living comfortably and productively in France as a successful expatriate writer when the American Civil Rights Movement kicked into high gear in the early 1960s. Spurred by the violent repression of peaceful demonstrations, racial violence, and widespread job and housing discrimination in America, he returned home to witness for himself what was tearing America apart. He traveled throughout the country to engage student activists, religious and community leaders, and politicians to hear what they thought about the turbulent state of affairs. Most notably, Baldwin used his fame as a celebrated writer to speak out about racism and its corrosive effect on both its victims and perpetrators. It was during these years that he wrote one of his most famous works, "